Tibetan singing bowls are traditionally constructed of a 7 metal alloy including gold, silver, copper, iron, lead, tin, and mercury. And according to Tibetan astrology each seven metals represents one for each Planet. Gold represents the Sun, silver the moon, copper Venus, tin Jupiter, etc. Each component is a part of the purifying effect of the bowl, which is important in feng shui also. The portions are different in every bowl, and not all the bowls contain all the 7 metals. 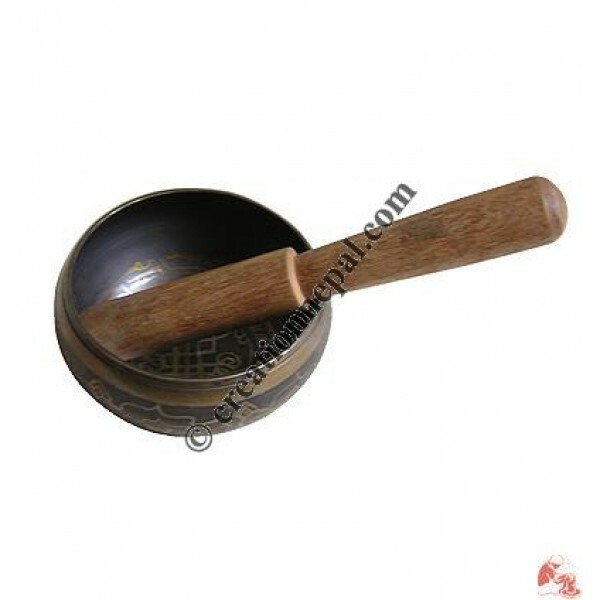 Singing Bowls are used for Music, Therapy, Sound Healing, and Bliss.On the purchase of this singing bowl a complimentary wooden striker is provided. Note: the weight given below is inclusive of the striker hence the actual weight of the bowl may vary.